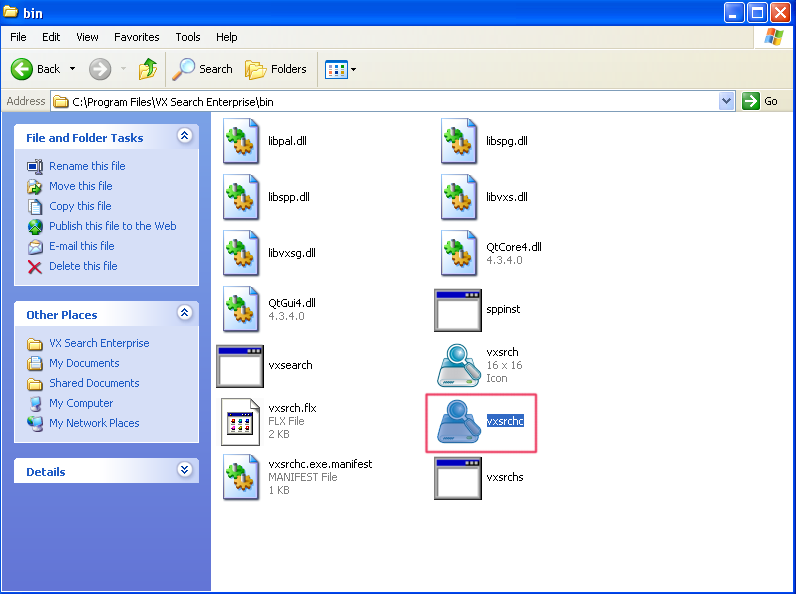 The executable that you will be opening for exploitation is “vxsrchc.exe”, the only one with an icon. 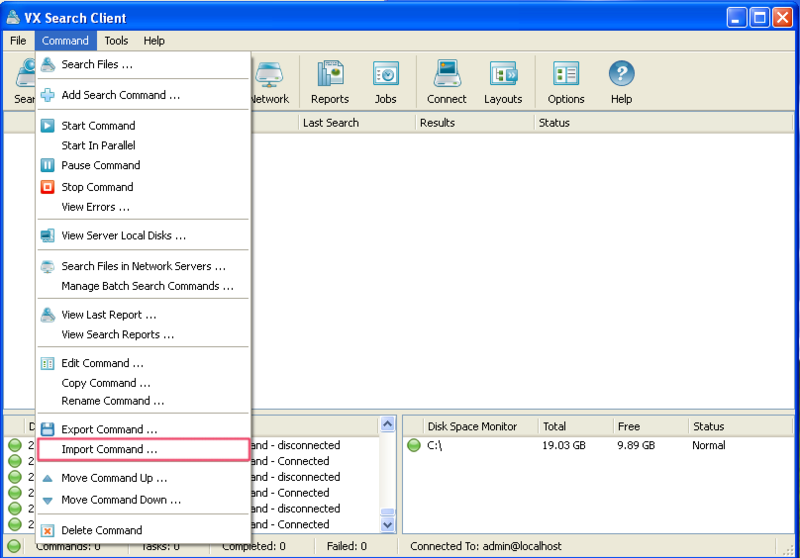 VX Search Enterprise is vulnerable to a stack buffer overflow via a specially crafted XML file opened with the “Import command…” in the “Command” dropdown menu. The overflow occurs in the “name” attribute in the “classify” tag. Save the XML file to the Desktop and go to the “Import command…” button, choose your XML file and BAM! We get a crash! Cool, now that we have found a potential vulnerability we can start trying to craft an exploit. Let’s begin the exploit development process! As before in Part 1, we want to start by confirming that EIP is getting overwritten and then proceed to the next step where we find the offset. Open Immunity Debugger and start debugging vsrchc.exe by opening it in the “File” menu. Press F9 or Debug → Run in the menu. With the program now running, open the XML file through the “Import command…” in the menu like before and check if you got 0x41414141 in EIP. Also, note that if you try to open the payload.xml file from somewhere other than the Desktop, you may run into an exception in the program that you’ll need to press Shift-F7 to pass through in the debugger. This is a little annoying so I’ll proceed with the rest of the tutorial by dragging and dropping payload.xml to the Desktop. If you’d like, feel free to modify things to be more comfortable for you. Great! Looks like we’ve got ourselves a pretty straightforward EIP overwrite. Let’s generate a pattern and identify the offset we need to have to put our own address into EIP in our next step. This is the shorter version of “pattern_create”, copy + paste the ASCII pattern into the XML file where our A’s buffer was. Restart the program (Ctrl-F2) and run it again (F9) to open up the XML file with the pattern. We’ll get another crash, but this time the program is holding onto our pattern buffer. This is the short version command for “pattern_offset”. 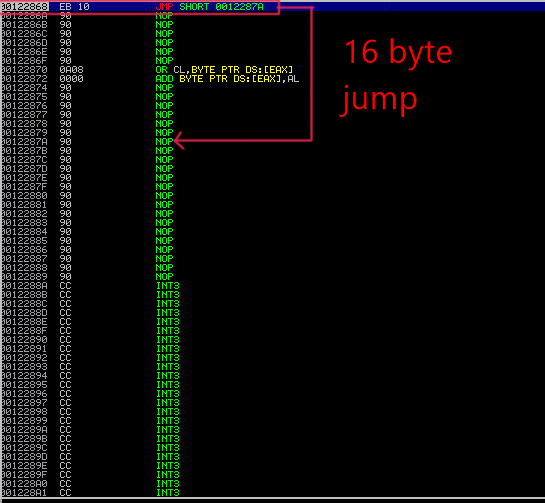 We can see from the command output that the offset to EIP is 1536 bytes. You can also run “!mona findmsp” while the pattern buffer is still in the crashed program to get detailed information about parts of the program holding the pattern. Be warned though, it takes a few minutes so go and get a cup of coffee while it does its thing. print "\nVX Search Enterprise Stack Buffer Overflow Exploit"
print "\nError! Exploit could not be generated, error details follow:\n"
In the above Python script, we are setting up our EIP overwrite by writing 1536 bytes of filler junk bytes, then we plug in our chosen EIP value (0xdeadbeef). Next, we write out this buffer to our XML file that contains the overflow vulnerability and write it to the C:// directory. Let’s run this script and then drag + drop it to the Desktop. 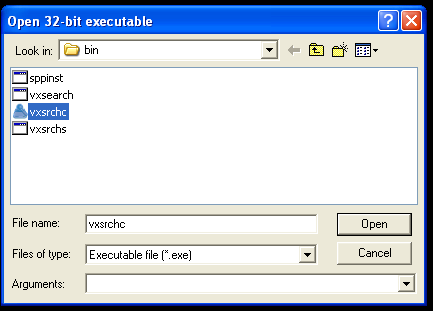 Restart vxsrch.exe in Immunity and “Import command…” the XML file just like before and inspect the contents of EIP. Aha! We have deadbeef! Now that we’ve confirmed we can directly control the EIP value, we can move onto the next step where we plug in a useful address for code execution. Open up the jmp.txt file in the logs directory and take a look. It appears as though kernel32.dll is a good reliable choice, so we’ll pick that. Awesome! We hit our INT instructions, but wait… It appears as though our mock shellcode gets interrupted part way through at 0x00122870 and 0x00122872. We don’t see our mock code there, we just see some other random instructions. That’s annoying and unexpected… Well, why don’t we just jump over this? Here is an opportunity for us to learn about how to use short jump assembly instructions in our exploit code! First, we need to go over some brief theory and how to go about using short jump assembly instructions in our exploit script. The main objective is to hop over the portion of the stack that interrupts our shellcode. In assembly, the instruction JMP 10 will cause the instruction pointer to skip forward by 16 bytes. JMP takes an argument in hex (which is Base 16), so if you want to skip ahead 18 bytes then it would be JMP 12. You can use a hex calculator online to make these calculations for you. The JMP instruction will use relative offset values from 00h to 7Fh, in other words, you can jump to another instruction with a maximum of 127 bytes in-between them. You can read a very good explanation of the short JMP x86 assembly instruction here. We can then begin reviewing the output in the Log window (View → Log or Alt-L, use Alt-C to return back). As you can see, we added in our jump instruction in the “jump” variable and inserted our NOP sled after the jump landing in the “nops2” variable. Now, run the script, restart the program in Immunity and open the generated XML file with “Import command…”, you should see that we have successfully hopped over the section of code that was causing us problems and into our mock INT shellcode. Brilliant! 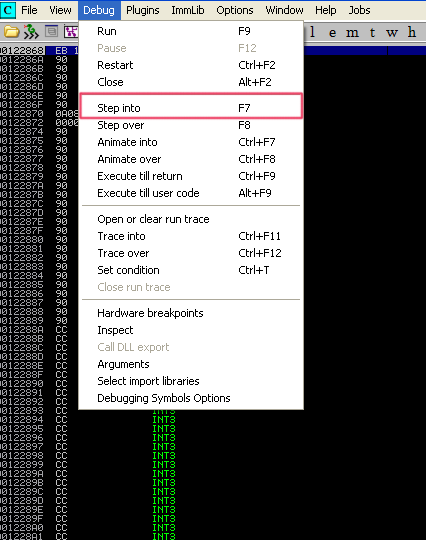 Press F7 (or Debug → Step into) to move forward by 1 instruction in the debugger, you’ll see that we jump forward 16 bytes! 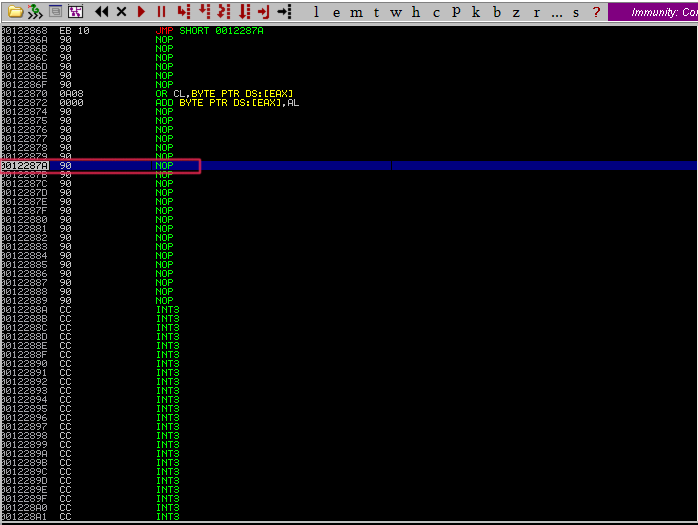 Hit F7 again or click the little red arrow beside the pause button to step forward by 1 again to go through some NOPS. Press F9 to run the rest of the instructions and we are now sliding down our NOP sled until… Bam! We hit the mock shellcode and successfully hopped over the bad portion of the buffer. 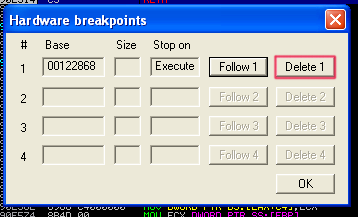 Remember to delete the hardware breakpoint so it doesn’t keep pausing during future debug sessions by clicking on Debug → Hardware breakpoints then press Delete 1. Pretty cool to see it in action, eh? That’s the wonder of dynamic analysis and debuggers, you can dissect piece-by-piece a program as it’s running then bring it back to life when it dies, like some kind of mad scientist. # Mix it all together and baby, you've got a stew going! print "\nVX Search Enterprise JMP Stack Buffer Overflow Exploit"
You can see that we added in the cmd.exe shellcode and we now have our final payload. Perform the usual dance of Ctrl-F2 to restart and F9 to start the vulnerable program with Immunity attached, load in the generated XML payload file and presto! The program terminated and we have a brand new command prompt open. Hooray for working payloads! Rarely will you be presented with a completely ideal environment for your exploit to run. Code you write for exploiting software is by definition, NOT SUPPOSED TO BE THERE. It is a foreign invader and you cannot expect everything to be arranged perfectly for your payload. Be ready to experience problems and learn to be comfortable with things not going as planned, then think of ways to compensate and emerge victorious. I didn’t expect to find a random chunk of code that interrupted my shellcode, but that’s sort of the fun thing about exploit development. You learn to see every piece of software like a quirky character that has its own flaws and personality, meaning each case is more or less unique. Because we knew assembly language, we were able to pull the JMP instruction from our bag of tricks and use it to get around the section of code that was interrupting our payload. Having an intimate knowledge of assembly and how instructions can be combined to get your exploit to run will give you a big advantage as an exploit developer. You can see that much of the process from Part 1 carried over, we had a hunch about what we might be able to do with our vulnerable program and then we tested it with a script. Based on the results, we asked more questions and tested them again with additions to the script. And so on until we had a final script and a final question, will this get me arbitrary code execution? And the final answer was yes! If you stick with this process of generating hypotheses and testing them, while also staying curious, you will usually come out ahead. And that’s the end of Part 2! 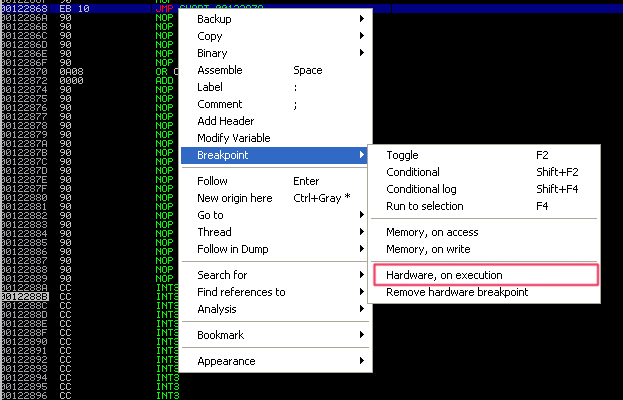 I hope that this discussion of jump instructions to get around interrupts in shellcode proved helpful to you. At this point, you should be pretty comfortable with the debugging workflow and exploit development cycle for stack buffer overflows. We’ll start to get into new methods of exploitation in Part 3 next week. I’ll list some additional resources you can look at for discussions on even more techniques you can use to hop around the stack at the end of this post. If you ever want to give me feedback, feel free to tweet at me (@shogun_lab) and follow to keep up to date with Shogun Lab. Email can be sent to steven@shogunlab.com. RSS feed can be found here. Hope to see you again for Part 3! UPDATE: Part 3 is posted here. Also, check out the 0research podcast. It’s a great source of info to keep up to date on security news/tools and they gave a mention to this blog at the end of Episode #18. Thanks Alex and Matt!